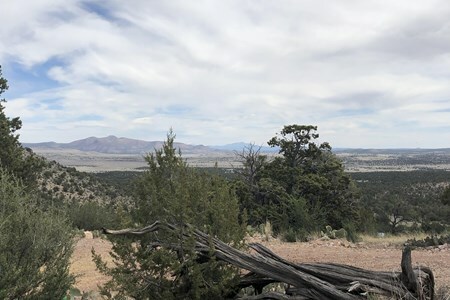 Great spot with views and a 780foot deep pristine well! We have several good areas to park small to medium sized RV’s or campers. We have a very high quality 780 foot deep well. You are welcome to as much water as you need. We live ... moreon the top of the highest mountain around and also have land down below. There is one good spot to park on top of the mountain but it isn’t easy to get to. The views are definitely worth it and 4wd would probably be needed. There are several great spots at the bottom of the mountain with good views and lots of flat land.